The Mediterranean Diet is getting a lot of buzz lately due to how it promotes not just weight loss, but an all-around healthier lifestyle. The source of the meal plan goes back to traditional, non-processed foods that were served in countries like Italy and Greece back in the 1960s and earlier. This diet is unique due in that there’s no one “right” way to follow it. 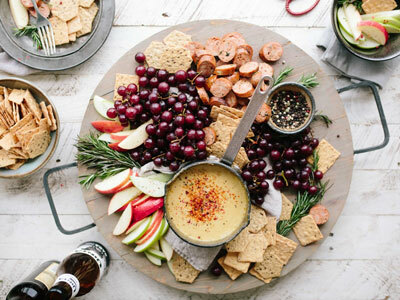 The basics of the Mediterranean style of eating revolves around consuming dairy products and red meats in moderation, while loading up on veggies, fruits, nuts, herbs, spices, whole grains, seeds, and seafoods. 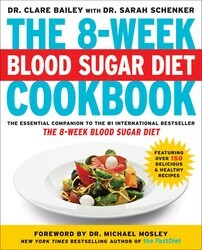 The meal plan also means avoiding any food that is processed or refined, and limiting sugar. In terms of what you should drink, water should be at the top of your priority list. Coffee and tea are also fine to drink while on this meal plan, but you should try not to add sugar to these drinks. The Mediterranean Diet also allows for a moderate amount of red wine, about one glass a day. The blood sugar diet is another way of following the Mediterranean meal plan, due to how its structure consists of consuming low-carbohydrates and a high amount of protein. Photo by Anne Preble on Unsplash. Think all diets have to be boring and bland? Think again. With Try-It Diet: Mediterranean Diet, you’ll get a taste for the nutritional plan without having to give up great tasting food like Stuffed Dried Figs, Almond-Encrusted Salmon, and Spiral Baklava. Now the information you need to start eating healthy and living fully is right at your fingertips. And with two weeks worth of original menus complete with easy-to-follow recipes, you’ll be able to stick to the plan without being stuck eating the same thing every day. Go ahead and give it a try! Bursting with fresh vegetables, fruits, whole grains, nuts, and olive oil, the Mediterranean diet is known for being one of the healthiest lifestyles in the world. 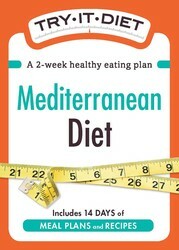 With this cookbook, you'll learn how to create hundreds of wholesome and delicious Mediterranean meals in no time. 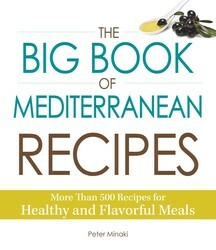 Covering everything from traditional staples to modernized versions of Mediterranean classics, The Big Book of Mediterranean Recipes offers more than 500 easy-to-make dishes. Easy, make-ahead meals for a healthier lifestyle! The benefits of a Mediterranean diet--fresh vegetables and fruits, whole grains, seafood and lean meats, nuts, and olive oil--are well known. People who live in the region have the lowest rates of chronic diseases and one of the highest life expectancies in the world. 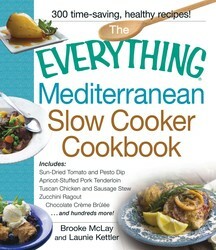 Inside are 300 recipes that combine the vibrant flavor of Mediterranean ingredients with the ease and convenience of slow cooking. You'll find mouthwatering dishes. Our modern diet, high in low-quality carbohydrates, is damaging our bodies—producing a constant overload of sugar in our bloodstream that clogs up our arteries and piles hidden fat into our internal organs. The result has been a doubling in the number of type 2 diabetics, as well as a surge in those with a potentially hazardous condition—prediabetes. It is now known that even moderately elevated blood sugar levels can trigger heart disease, stroke, dementia, and cancer. But scientists have recently demonstrated that you can prevent and even reverse type 2 diabetes with a simple change in diet and lifestyle. 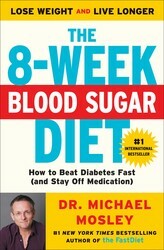 Drawing on the work of Dr. Roy Taylor—one of the UK’s foremost diabetes experts—and his own experience as a one-time diabetic, Dr. Michael Mosley presents a groundbreaking, science-based, 8-week plan for diabetics who want to reverse their condition (and then stay off medication).